10/10 product, especially for lighter riders. Literally the best aftermarket suspension mod I've ever done. 2009 Cannondale Prophet size large. Very good condition with a few normal wear marks but no cracks or major scratches/dings/dents. 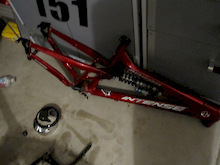 Price listed is for FRAME AND REAR SHOCK ONLY. Rear shock recently replaced with Rockshox pictured. Can include detailed pictures if necessary. Prefer local deal but will ship for the right offer. Can include fork and possibly parts for a complete build for an additional cost to be discussed. Will consider trades for firearms/ammo/fly fishing gear/cameras & gear etc. Fox Float 34 150 26"
Purchased in 2015 (may be 2014 model) Fox Float 34 150 for 26" wheels with an approximately 8" cut tapered steerer tube (1 1/8-1.5) and 15mm axle. Literally ridden 3 times (switched to a 27.5 bike) and has been sitting since. No scratches or true indications of wear/use. Can send more detailed pics if required. Will consider trades for firearms/ammo/fly fishing gear/cameras & gear etc. Prefer local deal but will ship if buyer covers cost. 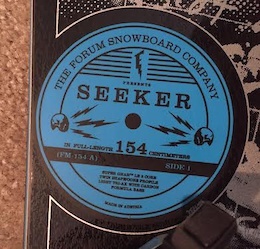 Forum Seeker 154cm Snowboard, Forum size 11 boots, and Ride Bindings. Paid around $500 for the setup a few years ago and they have never been used. Looking to get $200 cash or will consider trades for fly fishing gear, go pros, AM, PS4, and various other items. Located in San Diego and prefer not to ship. If shipping is required buyer pays all fees. WILL ONLY CONSIDER REASONABLE OFFERS. Awesome for Stevie! Maybe I missed it but why was Hill a DNS?